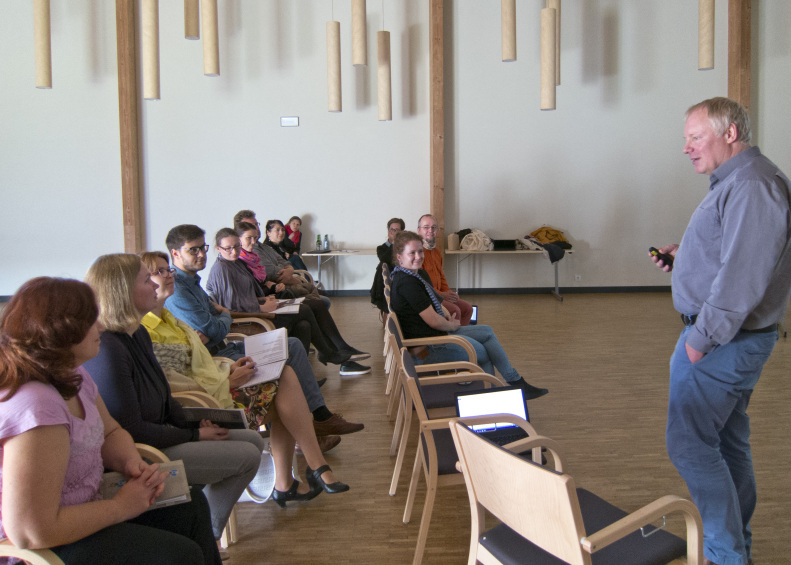 September 26, 2017 a seminar on “Integrating ecosystem services into environmental management and planning process” took place in Saaremaa Nasva club in the frame of the LIFE Viva Grass project. The seminar focussed on grasslands but also more general questions were addressed, including: why we should map and assess ecosystem services, what are relevant EU requirements and important strategic documents as well as what related activities are currently going on or planned in Estonia. The representatives of Lääne-Saare municipality, Environmental Board, Environmental Agency, Ministry of Finance, Ministry of Rural Affairs, Estonian University of Life Sciences and Baltic Environmental Forum Estonia participated in the seminar. Lauri Klein from Environmental Agency explained the terms “ecosystem”, “green network”, “ecosystem services”, “nature capital”; talked why and how to assess ecosystem services and introduced the ELME project (led by the Environmental Agency) dealing with mapping and assessing ecosystem services in Estonia. The speaker also highlighted the potential threats and opportunities related to economic assessment of ecosystem services. Kalev Sepp from Estonian University of Life Sciences gave an overview about important key words and strategic documents of EU environmental policy, explained the meaning of nature-based solutions, introduced the possibilities of the planning tool developed in the LIFE Viva Grass project and discussed how ecosystem services and nature-based solutions could be integrated into environmental management and spatial planning. The group work covered the following issues: what could be sustainable scenarios for use of grasslands (semi-natural communities) in Saaremaa; what are most important ecosystem services of grasslands to be maintained/improved and taken into account in environmental management; and what EU environmental policy topics should be considered in the statutory plan of the municipality. The seminar was followed by a study trip to Lümanda area. 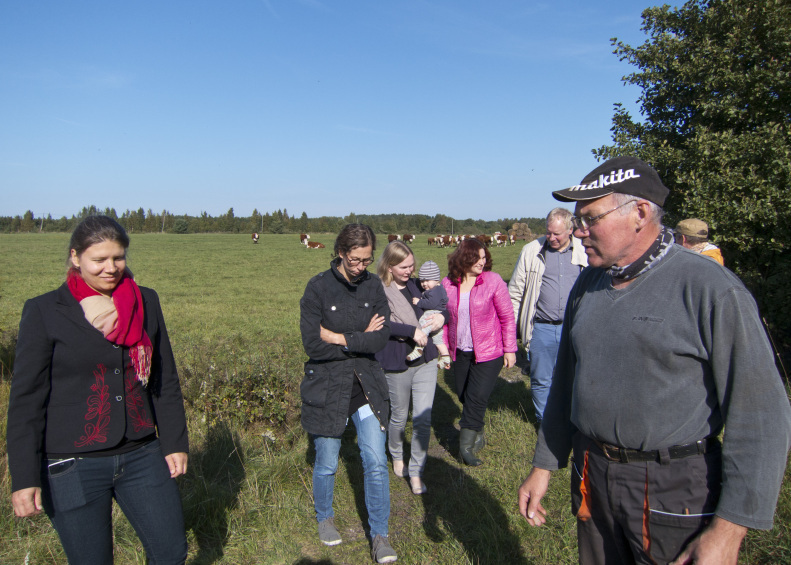 Ants Jõgi (Laherand MTÜ) guided the tour to the grasslands in Riksu coast Natura 2000 area grazed by his beef cattle. Kaja Juulik (Karala Village Development Society) was the guide in Karala village/Roopa harbour where different grassland-related topics were discussed and the LIFE Viva Grass info stand about grasslands of Lümanda area and their ecosystem services was explored.